A building located in the Mabushi District of the Federal Capital Territory, Abuja, said to belong to the minister of Niger Delta Affairs, Godsday Orubebe, has become the centre of attention of the Federal House of Representatives as it sets up committees to look into the ownership of the building and report back within 21 days. 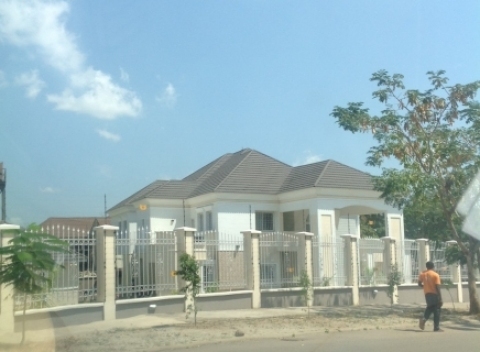 The building was alleged to have been built for Orubebe by a construction firm, SETRACO. The House endorsed a motion presented by Odeneye Kehinde on the matter and resolved to probe the ownership of the property. It then mandated the committees on Anti-Corruption, Drugs/Narcotics/Financial Crimes and Justice to conduct an investigation and submit the report of their findings. He reportedly expressed surprise that neither the Economic and Financial Crimes Commission (EFCC) nor the Independent Corrupt Practices and other Related Offences Commission (ICPC) had deemed it fit to conduct an investigation into the matter. “It is saddening for me to have to come up with a motion of this nature to address a matter which ought to have been taken up by our anti-corruption agencies. “This motion is brought against the backdrop of mounting disclosures of corrupt practices levelled against a sitting minister by some anti-corruption outfits in the country. The minister has paid for so many phantom projects. “The minister is presently resident in a house at Mabushi District Abuja built and handed over to him by SETRACO, a construction company that doubles as his crony. “The minister’s failure to declare the said house in his asset declaration form with Code of Conduct Bureau, is a case of perjury if established. “The minister’s financial escapades and liaisons are in Dubai and other corruption shelters overseas. “These weighty allegations were at first peremptorily rubbished and dismissed by the minister as handiwork of his detractors and some mischief-makers who were out for extortion. We await part 2 of this intriguing story.